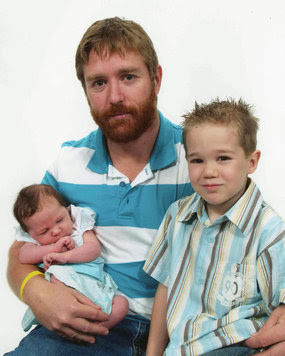 Lance Corporal Jason Marks with his two children. The body of the Australian special forces commando killed in Afghanistan this week is on its way home. Lance Corporal Jason Marks, 27, died in a firefight with Taliban militants in Uruzgan Province on Monday morning. A repatriation ceremony was held in Afghanistan last night at the start of his final journey home. A spokesman says funeral arrangements are yet to be finalised.